It's not social media. It's us. 1. We’re encouraged to be more narcissistic. A number of people think that social media made us narcissistic, since we keep posting #selfies, #ootds, and what we had for lunch or dinner—as if they (or we) matter A LOT to EVERYONE. But the thing is that people have always been narcissistic. Social media just made it more apparent, and may have made it grow. Now, is it a bad thing to be more narcissistic? It’s not all bad, but it is when you literally only think about yourself. 2. People spread wrong information. Sure, you may know which ones are total bull, but what about other people? Spreading wrong information is just outright wrong. 3. There’s just too much noise. People are suddenly experts on social issues. There’s nothing wrong about sharing your thoughts, but when you just reiterate what someone has already said, or when you bash someone or a group of people, you’re not really making things good for anybody. 4. We’re obsessed with “likes.” We post and share things for the likes! When we’re on vacation, we’re so caught up thinking of the pictures that will get us a lot of likes, and of witty captions or hashtags that are bound to make people laugh. Whatever happened to being in the moment? Sure, we’re posting informative or life-changing things. But here’s a question about our character: Where’d our sincerity go? 5. We easily quantify things. We think, “Why does Georgina’s profile photo have more likes than mine, when hers is pixelated and poorly lit? Is she prettier or more popular than I am?” “Why does Sarah’s post have more shares than mine? Do people just like her more?” We see the number of likes and shares people’s posts get, so we can’t help using them to measure our self-worth. We forget that we already have self-worth, that it’s immeasurable, and that it has nothing to do with likes or shares or comments. 6. We easily compare our lives with other people’s. We’ve been told not to do this ever since we were children for a good reason. It's unhealthy and it robs us of our happiness. But social media has made this very, very easy for most of us. 8. It makes us overthink more. This is good when it comes to considering your privacy options and the content of your posts. But when you overanalyze what people think of you or if you have a life at all because you’re “missing out” on the fun, that’s unhealthy and counterproductive. 9. It wastes our time. We’ve all scrolled through our Facebook and Instagram feeds and wasted six hours of our weekend. What do we get in return? Seriously? 2. Follow the right people, institutions, and publications. Your safest bet is UNBIASED news publications. Get as much information about an issue (educate yourself), think about it, then form an opinion. You can voice it out; just make sure you do it politely. 3. Unfollow people who make you unhappy. Instead of unfriending them like what most people have done to their anti-gay marriage peers, simply unfollow them if you really can’t stand them anymore. You might think you don’t need them in your life, but just because their beliefs are different from yours or their happy lives annoy you, doesn’t mean you should just do away with them. Remember that you can always use your connections to your advantage. You’ll never know whom you’ll need in the long run. 4. Be critical. 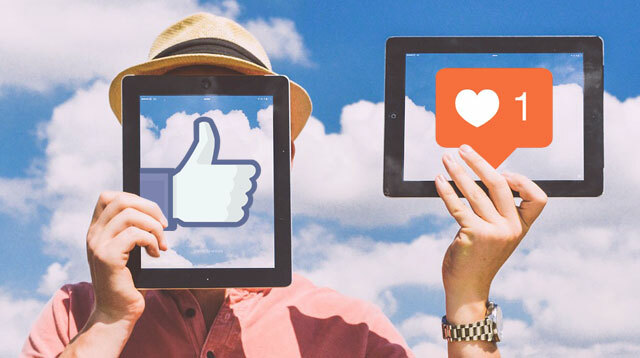 Do you think all the people you see on your Facebook feed is as happy as they seem? But who doesn’t smile in a vacay photo?! Remember: what you see on your Facebook feed is just one side of the story. We all have our battles; not everyone brandishes the wounds. 5. Limit your social media time. It’s your choice if you want to live your life only going through your social media accounts. But if you’re complaining about how you’re not living your life like those people on your feed, then it’s time to unplug. Make time for doing things you love or discovering new hobbies. 6. Do it at the right time. Like after work and when you’re not on a date. This is basic. 7. Actually connect with your friends. Social media was made to connect people no matter where they are. So you found out your close friend just went surfing? Ask her how it went instead of just “liking” the photo. Let her tell her story to you, which is what you guys would do in person anyway. 8. Join groups. (Yes, there are public Facebook groups.) You’ll be part of a huge community that’s into the same things you like (or just starting to like)! You can share things you’ve learned, or get help from people who’re part of it.